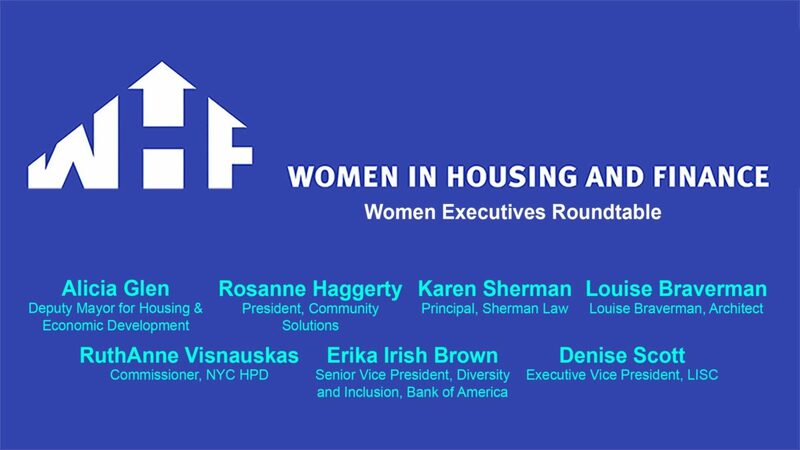 February 11th, 2014 Louise was delighted to join Women in Housing and Finance Women Executives Roundtable Event in New York City. Seven substantial women from all phases of design, finance, and construction discussed professional issues related to housing with the membership of this esteemed organization. The evening was filled with conversation about thoughtful issues that affect all of us in the profession.